This is the story about my mother’s turn to medical hospice in the final weeks of her life. She is not alive to tell the story herself, but I believe she would approve my account of it here. My mother (her name is Ruth) was a devoted, life-long Christian Scientist who practiced ‘radical reliance.’ She would tell you that she experienced many wonderful healings in Christian Science. In her mid-80s, Mother began experiencing worrisome symptoms that did not yield to Christian Science treatment. She worked diligently to heal the problem, and she had the help of one, and then another, Christian Science practitioner. In time, her condition worsened to the point that she could not eat, and she decided to admit herself into a Christian Science nursing facility. Her condition deteriorated, and she finally acknowledged that she was not going to ‘meet’ the problem and that she would ‘pass on’. Mother was not afraid of dying, but she was disappointed in herself. She had sometimes said that, “Christian Scientists should not get sick and die.” Rather, she believed that when the time came to die, they should demonstrate a quick and painless passing from a healthy human state to their next plane of existence. But that’s not how it worked out in her case. The Christian Science nursing staff at the sanatorium made no adjustments to my mother’s care as her distress, exhaustion, and pain increased. They continued to place a full tray of food in front of her three times a day, even though she could not keep any food down. Neither could she sleep. My brother and I smuggled some sleeping pills to her, which she was grateful to have. One morning she telephoned, begging me to transfer her to a medical hospice. Later that day, I and a social worker from the hospice accompanied an ambulance to the Christian Science nursing facility to accomplish her move. The director was at first reluctant to release her, but after a discussion she was allowed to leave. Mother was admitted to the hospice and was made comfortable in a room by a medical nurse. The attending physician came by to interview her and explain what care they would provide to ease her through the death process. Mother asked a few questions and seemed satisfied. After the physician left, she turned to me and said, “these people are so much more professional.” Those are her exact words. Mother died peacefully under palliative medical care about two weeks later. 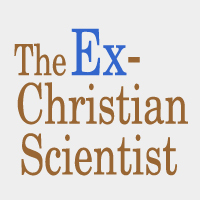 Mother remained committed to Christian Science to the end. In her view, her turn to palliative medical care in her final days was consistent with Mary Baker Eddy’s provision for relief from extreme pain as stated in Science and Health (p. 464). As I reflect on her experience, I am at a loss to understand how the Christian Science community can avert its eyes from the suffering of their faithful members as they go through the human death process.